Russian nuclear forces are represented by a classic triad that includes land-based ICBMs (silo-based, road- and rail-mobile), sea-based and air-based strategic nuclear forces. Table 1 shows numerical structure of Russian Strategic Nuclear Forces (SNF) as they were reduced from 1990 to 2002. Currently, the core of the Russian nuclear potential consists of missile systems developed and deployed by the Soviet Union in 1980s. By the end of 1990, silo-based variant of RS-12M2 "Topol-M" (SS-27) missile entered into service and its serial production was launched. Serial production of a road-mobile variant of this missile is planned for the near future. Most of existing weapons systems will reach the end of their service life by 2010 -- except for several SSBNs, whose warranty period expire by 2015. However, missile systems of these submarines will be out of warranty much earlier -- by 2002-2003. Testing of a modernized missile (Bark) for SSBN Typhoon was cancelled after several unsuccessful launches, and development of this missile system was stopped. Efforts on extension of service life of the Tu-160 (Blackjack) and Tu-95MS (Bear H) bombers will allow these aircraft to remain in service till at least 2020, however their cruise missiles have mostly reached the end of their lifespan, while development of the new ALCMs is carried out at a too slow pace. According to START Treaty Memorandum of Understanding Data of January 1, 2002, Strategic Rocket Forces had 726 deployed ICBMs and their associated launchers and 3150 warheads attributed to ICBMs. However the actual number of warheads my differ from this "attributed" number since 10 independently-targetable warheads are attributed to all heavy ICBMs, while some of them may carry single warhead. Russia fulfilled requirements of the START I Treaty in December 2001. Particularly, a number of the SS-18 silos were destroyed, which allowed Russia to comply with the START I level of 154 heavy ICBMs. *) According to MOU data, SS-18 ICBMs were not deployed in 6 silos at Uzhur base. **) According to MOU data, SS-19 ICBMs were not deployed in 13 silos at Tatischevo base. ***) According to MOU data, SS-27 is not deployed in one silo at Tatischevo base. The process of reduction of ICBM force is determined mainly by the expiration of service life of the deployed missiles. While maintenance capabilities play significant role here, main production facilities of SS-18 and SS-24 missiles are located in Ukraine. Taking into account SS-19 initial deployment chart and currently prolonged service life, one can see that all 150 of them will expire in 2001-2005, because they were deployed between 1980 and 1984. However, SS-19 type of the missiles will likely remain in service after 2005 since some missiles were substituted by newer ones after 1984. Possible further extension of their service life to 25 years will postpone retirement of SS-19 to even later date. The already extended lifespan of the SS-18 missiles initially deployed in 1979-1983 expired by 1998. Service life of these missiles was apparently extended again, most likely by 5 years (and it will expire by 2003). Besides, deployment of the most recent modification of this missile, R-36M2 (SS-18) began in 1988 in Kazakhstan, while their production continued till breakup of the USSR. These missiles can remain in service until 2003 using their original lifespan, and until 2010-2013 if it is extended. Service life of RS-22 (SS-24) and RS-12M "Topol" (SS-25) missiles is 10-15 years and expires in 2005-2010. By 2002, Russia completed liquidation of RS-22 (SS-24) silo-based ICBMs. 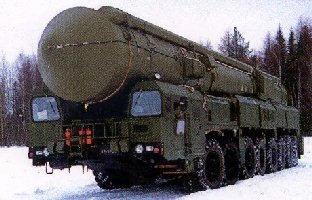 Currently, the only new system that was tested and is being put in service is RS-12M2 "Topol" (SS-27) ICBM. However, the pace of this process is very slow because of the country's financial constraints. The existing Russian R&D base is capable to develop, test and produce modern ICBMs quickly and in required quantities. The leading organization in these area is the Moscow Institute of Thermal Technology, while Votkinsk Machine Building Plant is capable to produce 40-50 RS-12M2 "Topol" (SS-27) missiles per year. However, production rate of these missiles doesn't exceed 10 units per year due to financial constraints. By the time of signing of the START I Treaty in 1991, USSR had 62 SSBNs. Sea-based Strategic Nuclear Forces included second generation SSBNs Yankee I (12 submarines), Yankee II (1), Delta I (18), Delta II (4), and third generation SSBNs Delta III (14), Typhoon (6) and Delta-IV (7). Fulfillment of the START I Treaty requirements led to retirement of almost all of the second generation SSBNs. Note that service life of these subs expired by 2001. START II Treaty did not provide for any additional reductions of Russian sea-based strategic forces in comparison with START I Treaty. 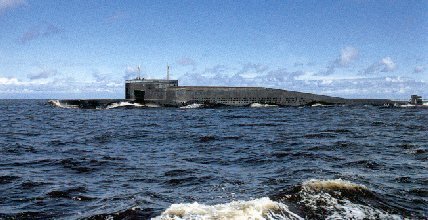 When START II was signed in 1993, it was expected that by 2003 Russia would be able to maintain a force of 23-25 SSBNs (Delta III, Typhoon and Delta IV) without commissioning any new ones. In reality, the rate of retirement of Russian SSBNs turned out to be much higher. As of January 2002 Russia had 20 deployed SSBNs (5 Typhoon, 6 Delta IV, 7 Delta III, 2 Delta I), 42 submarines had their missile compartments cut out or launchers removed according to START I elimination procedures. However, according to US intelligence data as of December 2001 only 10 submarines were capable of active duty, these SSBNs carried about 200 SLBMs with 900 warheads. All other submarines were de-activated and scheduled for disposal. Main reason for rapid retirement of submarines is the lack of maintenance and mid-life repairs. For a ship to remain in service for 25-30 years, it has to undergo mid-life repairs every 7-8 years. Otherwise the submarine's service life shrinks to 10-15 years. As of 1995, only 20 submarines did not require repairs, and it was suggested that by 2000 only 10 subs will not need repairs. Typhoon force is now in the most problematic situation. According to previous reports, two out of six Typhoons were decommissioned in 1995-1996, while apparently only one or two submarines are capable of active duty. One of the reasons was that service life of RSM-52 (SS-N-20) missiles does not exceed 10 years, while the number of currently available solid-fuel missiles with non-expired lifespan is not sufficient to equip all six Typhoons. Production of RSM-52 (SS-N-20) missiles was stopped in late 1980-s. It is expected that service life of RSM-52 (SS-N-20) missiles will expire by 2003 and Typhoons will have no missiles to carry. In early 1990s a decision was made to develop a modernized solid-fuel missile "Variant" as a replacement for RSM-52. However, after several unsuccessful launches Security Council of the Russian Federation decided to cancel this program. Thus, the future of Typhoon strategic submarines remains unclear. There is a plan to conserve some of them until at least 2007, when a new solid fuel SLBM "Bulava" is supposed to enter into service. More likely, however, the submarines will be eliminated because of economic reasons. Reported also was a plan to convert Typhoons into civil cargo ships. Russia has not commissioned new SSBNs since 1990, however, their production base in Severodvinsk is preserved. On November 2, 1996, construction of "Yuri Dolgoruki", the first sub of a new generation was launched. Originally the submarine was scheduled to enter into service in 2002, and subsequent submarines of the new type were supposed to be commissioned at a rate of one ship per year, so that to keep the sea-based strategic nuclear force at the level of 14-18 SSBNs. However, from the very beginning the work assumed a very slow pace. It is quite notable, that the keel-laying ceremony of the "Yuri Dolgoruki" construction was rather formal -- it was only the fitting boards that was set up. Technical readiness of the ship by that time was below 0.2% -- at this point even working technical documentation is not supposed to be released. As a rule, keel-laying of a submarine at the stock is arranged together with welding of field joint between two sections of the sub's strong body, and corresponds to technical readiness of at least 6-9%. The pace of works did not improve after that. Particularly, in 1997 construction of the submarine was not funded at all. The launch of the next submarine was cancelled. Since several subs of this series were supposed to be equipped with the new modification of RSM-52 ("Variant"), after cancellation of the new missile program in Summer of 1998, construction of "Yuri Dolgoruki" was frozen. Moscow Institute of Thermal Technology was committed to development of the new "Bulava" missile, which according to expert opinions would last at least 7-10 years. Official plans of 1999 had it that deployment of the new "Yuri Dolgoruki"-class subs equipped with new SLBM would begin in 2007. Because of the delay with construction of new series of SSBNs, a decision was made to resume production of RSM-54 (SS-N-23) missiles for Delta-IV submarines, that was stopped in 1996. Under consideration is the option to deploy modernized variant of RSM-54 "Sineva", that has stages of different dimensions, improved protection against electromagnetic pulse, and missile defense penetration aids. The new missile is also equipped with a unique satellite navigation system and "Malakhit-3" computing system that were developed for SLBM "Variant". Russian Air-based SNF have two types of strategic bombers (commonly referred to as "missile carriers" to reflect the fact that they are normally equipped with ALCMs rather than bombs) -- Tu-95 (Bear) and Tu-160 (Blackjack). Tu-95MS (Bear H), the most recent modification of Tu-95, was developed in late 1970s and was produced until early 1990s, at which point the production line was dismantled. 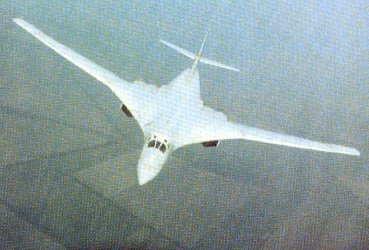 Tu-160 production capacity still exists -- the bomber is currently in serial production, and modernized variant of the aircraft is under development. As of January 2002, Russian Air-based SNF had 78 bombers deployed and 624 warheads attributed to them according to START-I accounting rules. All Tu-95 bombers of older modifications had been eliminated by that time. START-I treaty provisions do not provide for any additional reductions of Russian air-based SNF. Since lifespan of Tu-95MS bombers is about 30 years, these aircraft will carry significant portion of air-based nuclear arsenal after 2010. On the whole, service life of all strategic systems has to be extended as much as possible for Russia to keep and maintain its nuclear arsenal in current economic situation. This would allow to optimize the expenditures on SNF maintenance for the next 7-10 years. However, required is the development and deployment of new strategic systems that would ensure Russian security after 2010. © Center for Arms Control, Energy and Environmental Studies, MIPT, 2002.